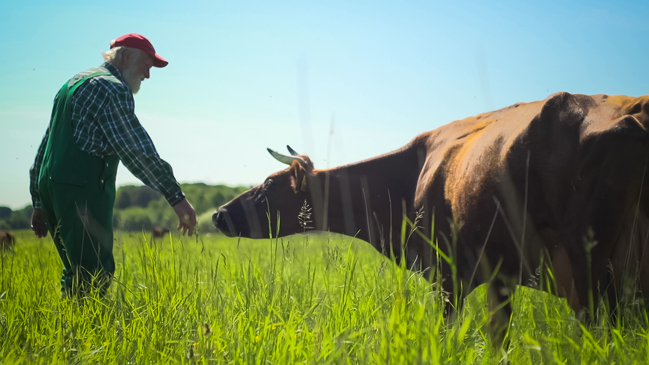 In her new film, Phie Ambo goes to bat for sustainable agriculture. 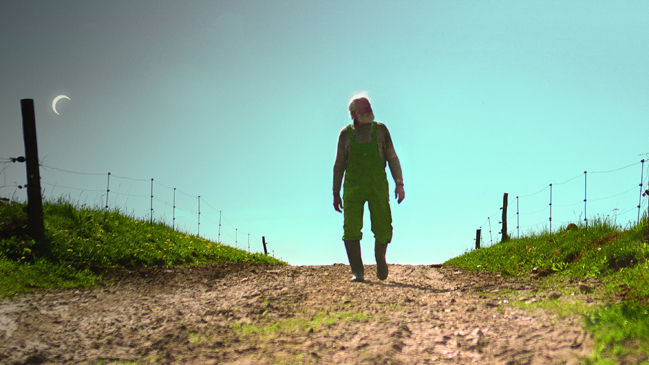 Good Things Await is about Niels Stokholm, a farmer fighting with the authorities to run his farm – supplier to Copenhagen's acclaimed Noma restaurant – his way, biodynamically. very few kindergarten spots open in their area, they took the first one they were assigned. “I remember they had these Marxist structures in my kindergarten that were impossible to live in. There was a sandbox patrol of kids who would make the rounds and make sure the other kids behaved the way they should – that the sandbox stuff was kept inside the sandbox, that kind of thing. I did not do well with that at all,” Ambo says. Ever since, the award-winning director of documentaries like Free the Mind and Mechanical Love has had a hard time with authority. In general, Ambo is not very comfortable in surroundings that value efficiency and structure over contemplation and reflection. Ambo puts these principles up for debate in Good Things Await through her protagonist Niels Stokholm and his unique biodynamic farm Thorshøjgaard, located an hour’s drive north of Copenhagen. It all began with a farm field trip that Ambo’s daughter was going on with her Rudolf Steiner kindergarten. The filmmaker went along with her camera to photograph the kids and the farm animals. Ambo had heard that Stokholm’s produce was praised by gourmet restaurants like Noma, that his produce was top grade. But she didn’t know anything about the farm or how it was operated. To understand life at Thorshøjgaard and its appeal to Ambo, you have to understand what kind of farmer Stokholm is. 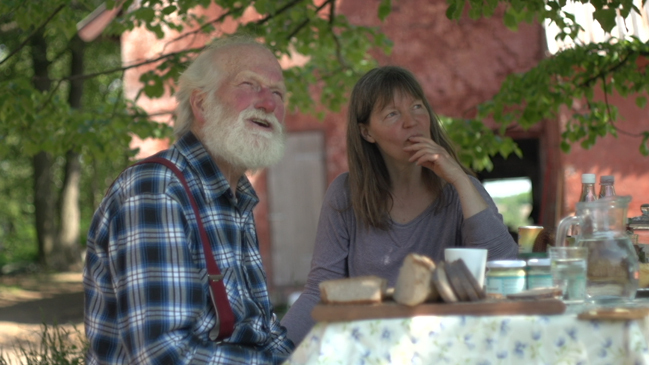 He runs the farm according to the principles of the Austrian philosopher Rudolf Steiner that are the basis for biodynamics. Instead of considering weeds an evil, Stokholm thinks of them as part of the farm’s circulatory system, where everything has a function. “I needed to get out of the whole efficiency mindset that we’re quickly lulled into in our modern lives,” the filmmaker says. “I needed a chance to be somewhere where you can spend an hour contemplating a snail moving along a leaf, the kind of thing that I think is good and important to spend time on but that we usually don’t have time for in the day to day,” she says. Still, it was more than her personal need to spend time at Thorshøjgaard that compelled Ambo to make the film. Looking at the 40-year-old documentarian’s back catalogue, her anti-authoritarian worldview shows through everywhere. Free the Mind looks at how meditation can help soldiers with PTSD and children with ADHD-symptoms. The Bailiff is a glimpse into a system that puts debt-ridden people out on the street, while Mechanical Love is about robots being used as substitutes for human relationships. The impression is of a filmmaker looking for the good life, who wants us all to stop and ask ourselves if the world really is organised in the best possible way. No exception, Good Things Await demonstrates that alternatives do exist to how farming is done today and to how society is organised overall. Ambo is surprised to hear trend researchers dismiss the whole issue of sustainability as a passing trend. 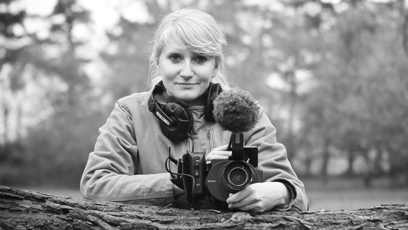 Good Things Await, selected for The Female Gaze programme at IDFA, is produced by Malene Flindt Pedersen for Danish Documentary Production. 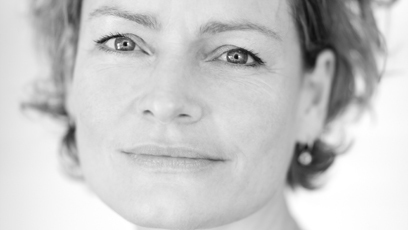 Director Phie Ambo, born 1973, graduated as a documentary film director from the National Film School of Denmark in 2003. Ambo’s debut feature Family (with Sami Saif, 2001) won her the Joris Ivens Award, IDFA’s top honour. Mechanical Love (2007), on the relationship between humans and robots, and Free the Mind (2012), on how thoughts influence the mind and the body, were both selected for IDFA. Ripples at the Shore (expected release 2015) examines the topic of consciousness. Good Things Await (2014) is having its international premiere in The Female Gaze programme at IDFA. Producer for Hansen & Pedersen Film og Fjernsyn, run by Malene Flindt Pedersen and Anders Riis-Hansen. Films include Good Things Await (Phie Ambo, 2014), The Circus Dynasty (Anders Riis-Hansen, 2014, see article), A Family at War (Jørgen Flindt Pedersen, 2004).